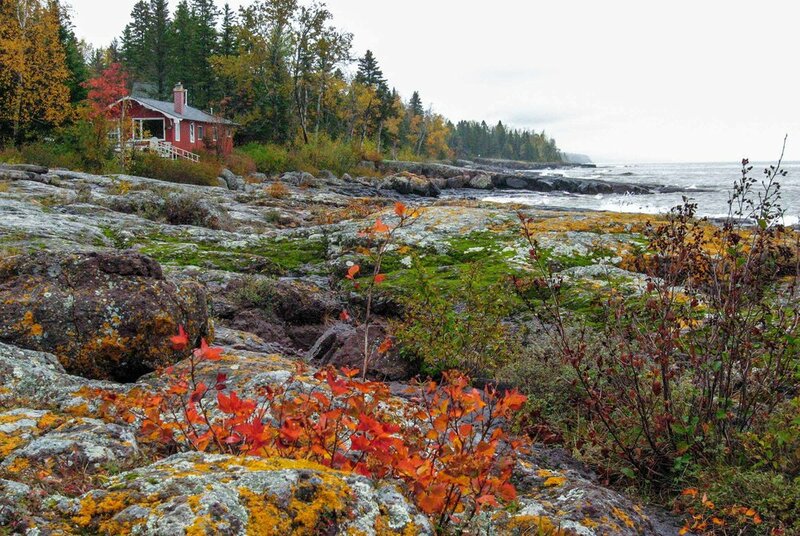 Charming, split-log cabin nestled on shoreline rocks with spectacular lake views from three sides. 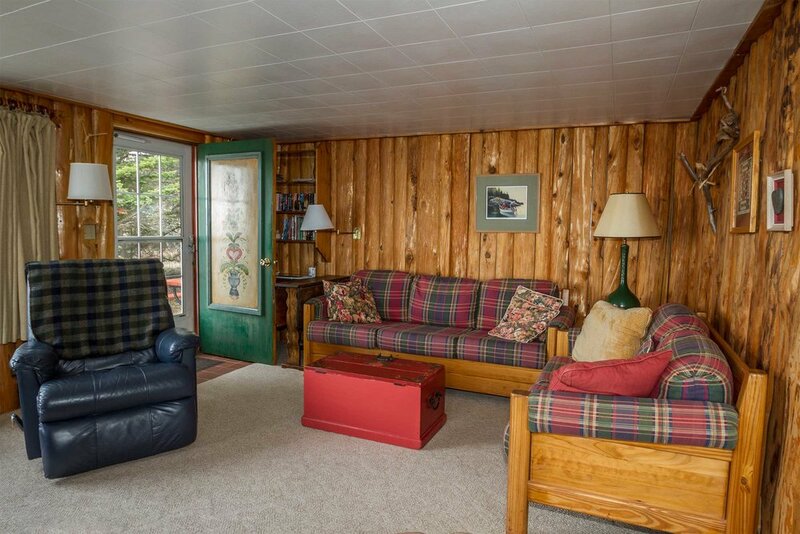 Spacious living room with fireplace and comfortable sleeper sofa. Two bedrooms: one with queen bed, second with two twin beds. 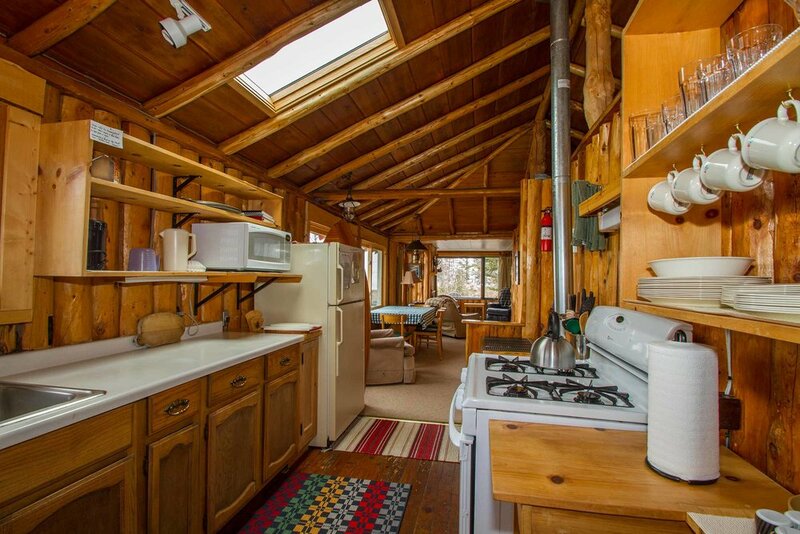 Two baths, kitchen, and dining area. 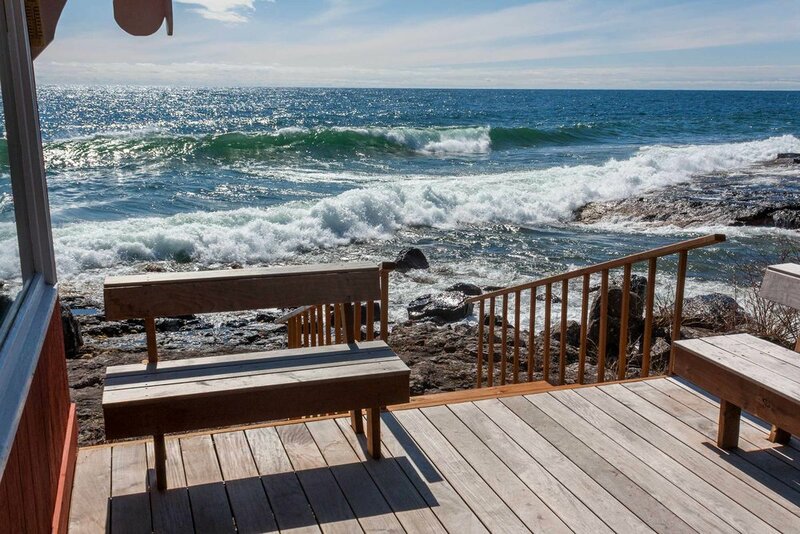 Attached sun deck with steps to shoreline rocks. 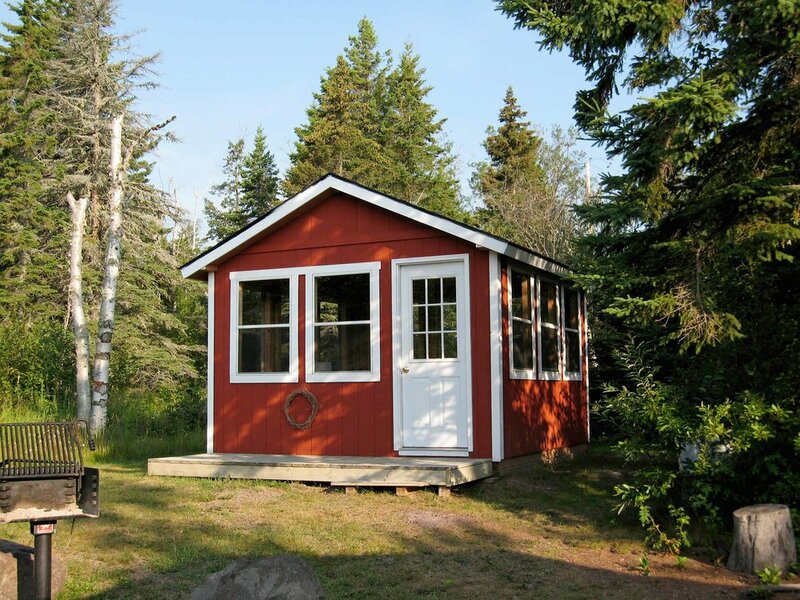 Includes three-season screen cabin right next door (perfect for puzzles, drawing or other creative energies). Fridens Ro means "peace and tranquility" in Swedish, and you will find that during your stay here. Fridens Ro photo gallery below. Located on the resort's west end.